By reclaiming, recycling and reusing drilling mud, you retain profits that others are literally throwing away. 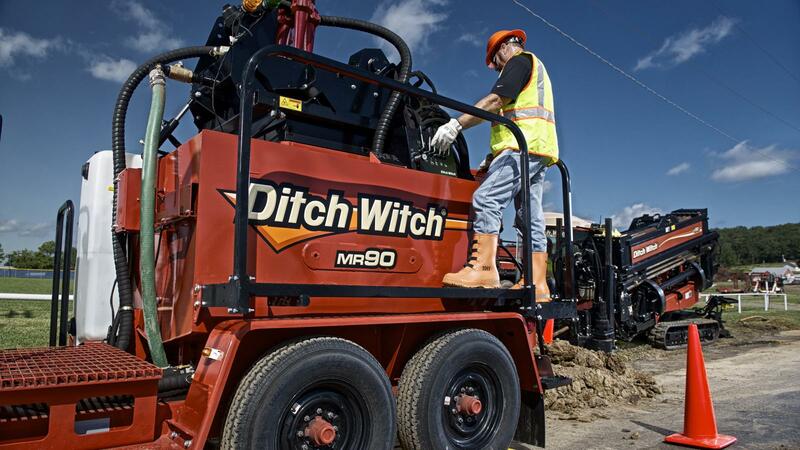 You’ll profit even more by using the Ditch Witch MR90, the most advanced, most productive mud recycler on the market. 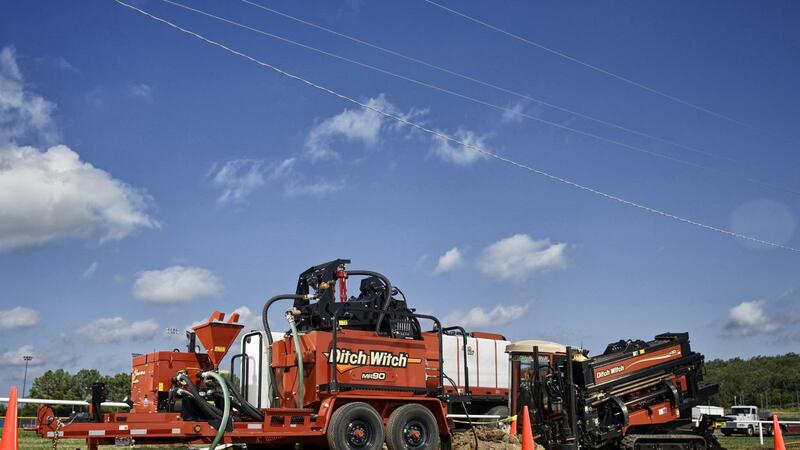 The MR90 is a self-contained unit that can mix and recycle drilling mud as well as handle spoils, for exceptionally cost-effective production. And it’s the only mud recycler you can transport full of fluid—one of its many cost-efficient features that no competing models can claim. 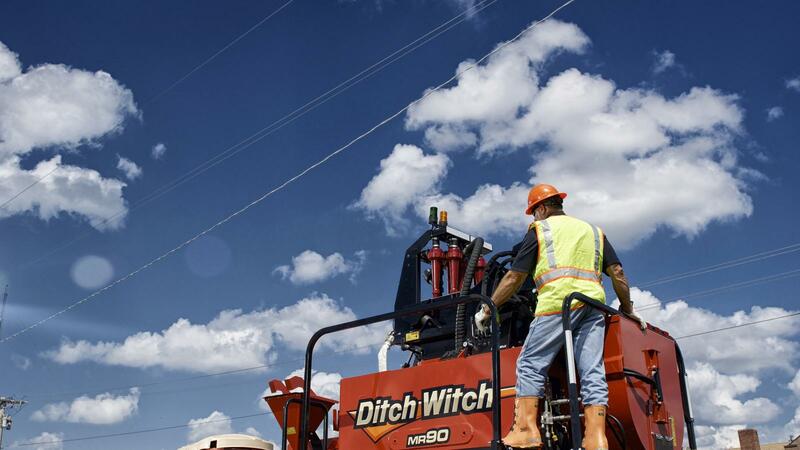 Optional rugged, commercial-grade trailer (14,000 GVWR) features LED lights, hydraulic jack and integral tool storage for all operational components. 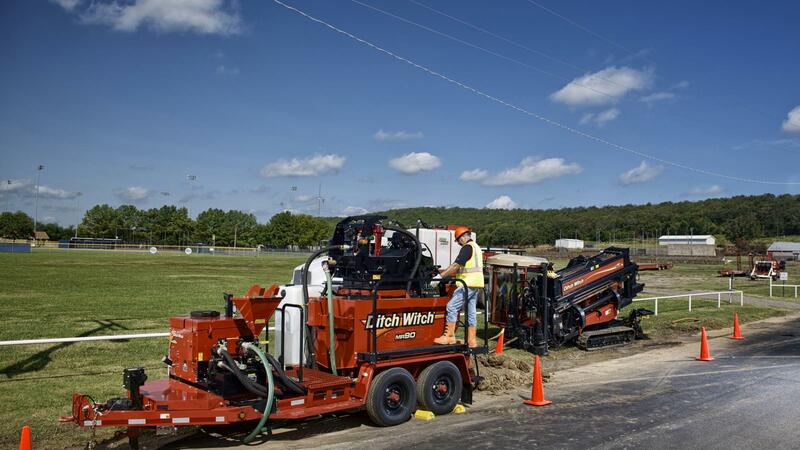 Powerful 25-hp (18.7-kW) Kubota® Tier 4 engine provides the power for recycling, supply to the drill and all hydraulic functions, including the shaker action. 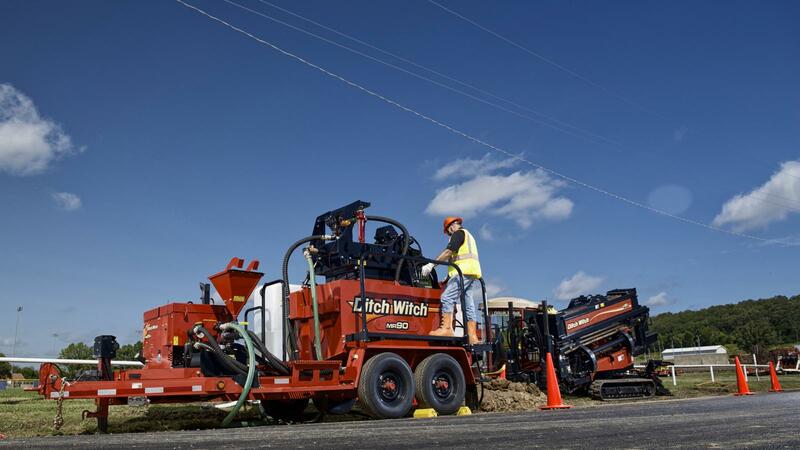 Two-screen system, along with six 2.5-inch (6.35-cm) hydrocyclones, provides extra-clean mud for reuse; screens are easier to change and service than those of competing systems. 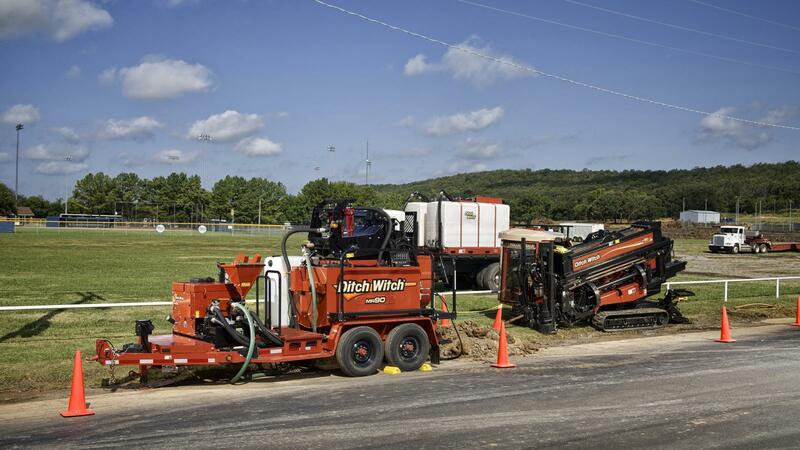 Hydraulic leveling screens and variable shaker speed are best in class. Rear onboard hopper catches all screened spoils; integral mixer allows drying additives to be mixed into the spoils and discharged through rear hydraulic door. Exclusive automatic pit pump control incorporates a float sensor; when recycler is not manned, pump automatically turns off to prevent overflow. 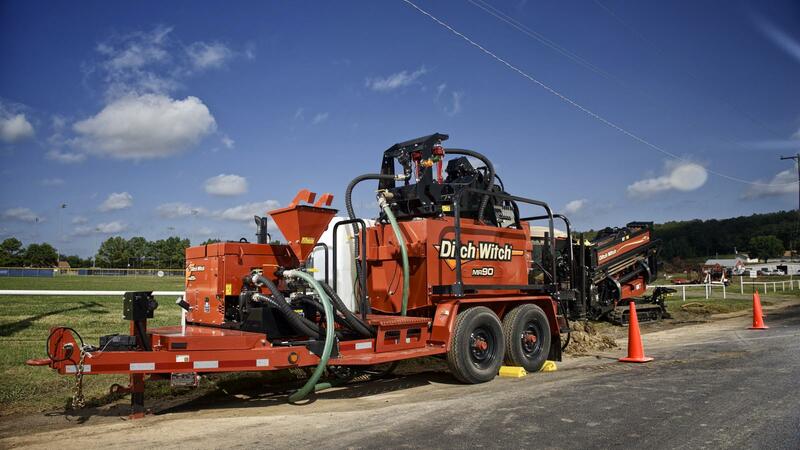 Hydraulic pit pump provides more than enough mud for recycling, keeping up with the high demands of the job; variable control of hydraulics helps fine-tune slurry delivery. 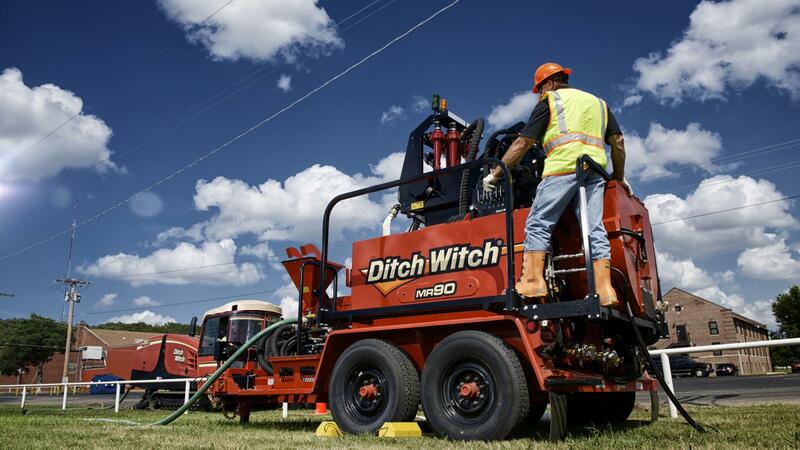 Optional remote control of the pumps—an exclusive Ditch Witch feature—simplifies operation for smaller crews. MR90 is a self-contained unit that can mix and recycle drilling mud as well as handle spoils, for exceptionally cost-effective production. 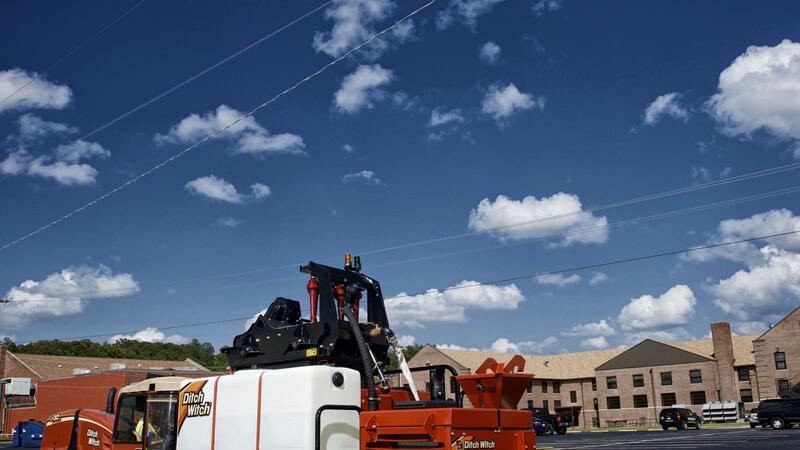 MR90 has the fastest setup on the market with the use of hydraulic leveling for the screens and hydraulic jack on tongue of trailer, dramatically increasing efficiency and productivity. 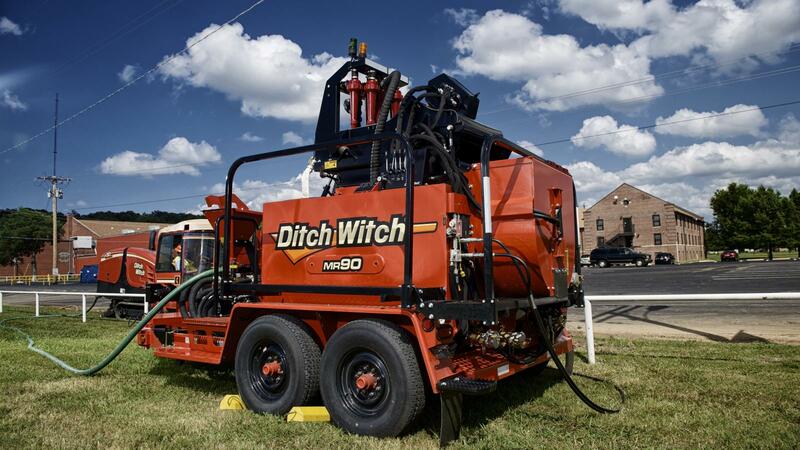 The most compact cleaning package on the market that can meet the demands of a directional drilling jobsite. 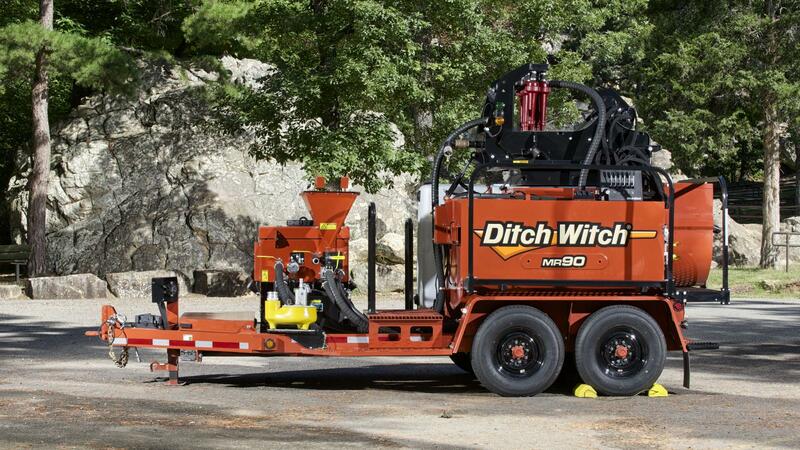 The only mud-recycling unit that can be transported full of fluid, for increased efficiency and reduced jobsite expense. Onboard high-pressure wash pump for cleaning equipment. Single-point operation simplifies performance without the need to move the unit; controls can be reached either from the onboard catwalk or from ground level.